Q. What does it cost ? A. 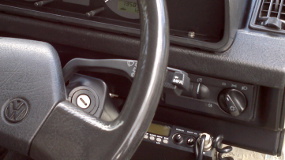 The price depends on the base features of the dash unit, and what options are required. For more details please see the website pricing page. Q. When can I get it ? A. The product is presently built to order, from available stocks of VW dash panels, and components which are manufactured in batches. Therefore there will generally be a short lead-time from placing an order, to receiving the product. Q. What else do I need, to complete the installation ? A. 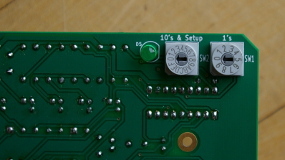 The minimum parts required are those to enable the lighting switches to be fitted elsewhere on the dashboard. The approach to this depends on customers preferences. The recommended solution requires the use of several readily-available standard VW parts, listed in the installation guide. Q. Can I obtain all the required parts from Syncrosport ? A. The parts are readily available from existing sources (VW, Brickwerks, local scrapyards etc. ), therefore Syncrosport presently has no plans to carry stock of these. Support and advice on suitable parts will of course be provided. 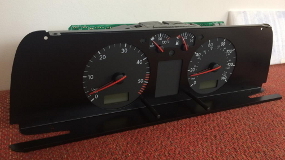 Q. I have a VW dash panel I would like to use, can you build a kit for me ? A. Yes, so long as your unit is compatible. A rebate will be available for customers supplying their own units. Q. I'm not sure I can install it myself, can Syncrosport do it for me ? A. Potential customers are encouraged to read the installation documents on the website. The product has been designed to be DIY-fit, and Syncropsort will provide all support that may be required for a successful installation. At the present time, Syncrosport has no customer workshop facilities. Customers really not wanting to tackle the task may wish to contact a local auto-electrician. Q. How can I use the MFA trip computer ? To use the MFA, a special wash/wipe stalk must be sourced and fitted. Early Mk2 Golf stalks are a direct fit, and visually similar to the T3 stalk, though somewhat shorter. 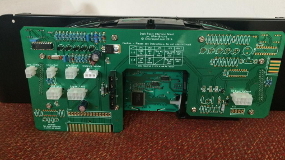 The part number is 331 953 519B 01C. 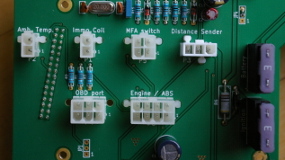 Syncrosport can supply a harness to connect the MFA stalk (see pricing page). 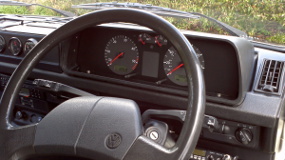 Later stalks can be fitted, such as the T4 (Eurovan) stalks shown in the pictures on this site, but more work is required to fit them, as the connectors are different, and the steering-column lock housing must be swapped for the later one. 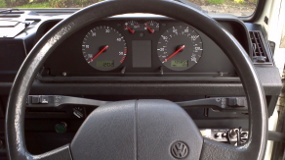 Air temperature display requires the connection of the correct VW sender (eg. 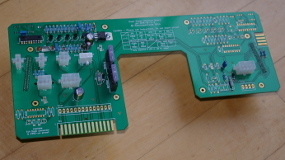 8Z0 820 535, 8D0 820 535), using the connector provided in the kit. 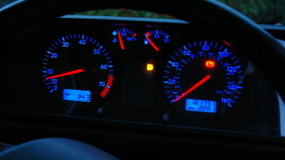 Fuel economy display is only possible if the engine computer can supply the required signal. Generally early-90's onwards VAG engines have this signal. If an MFA-capable dash is used without the MFA stalks, the LCD display simply defaults to displaying the current time. Q. What's the best way to contact Syncrosport ? A. Please call by phone, using the number on the website, during normal business hours. Please avoid text messages for initial contact, thanks.